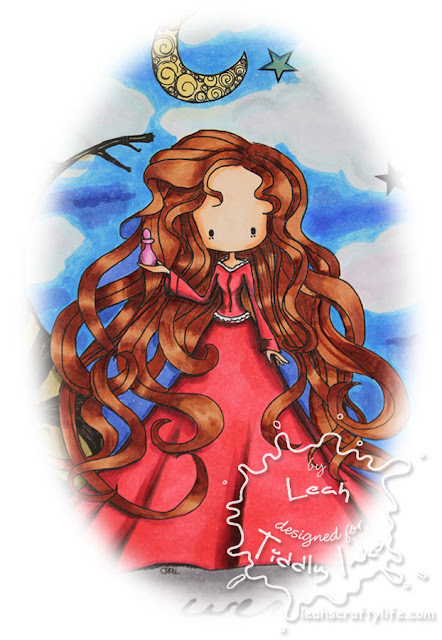 Leah's Crafty Life: It's a magical day with Tiddly Inks! It's a magical day with Tiddly Inks! I couldn't stay away with the reveal from Tiddly Inks today!! Christy has really 'brought it' with this release. She explains it so well on her blog. Mystria comes with exta's like a Tree, Fog, Moon, and digital paper! 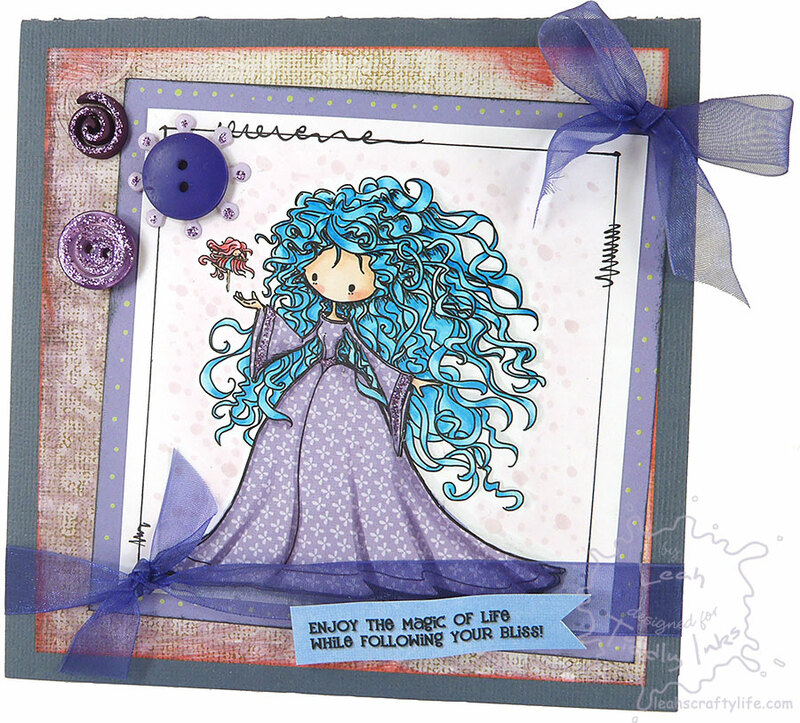 Now, on to another lovely, meet Magda! 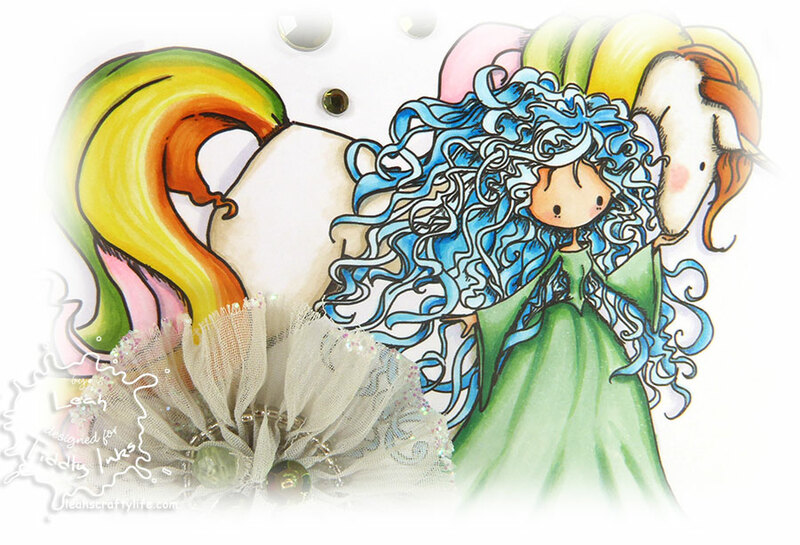 When I saw her I envisioned her cascading hair in blue... and do you see her little fae friend? So sweet!! 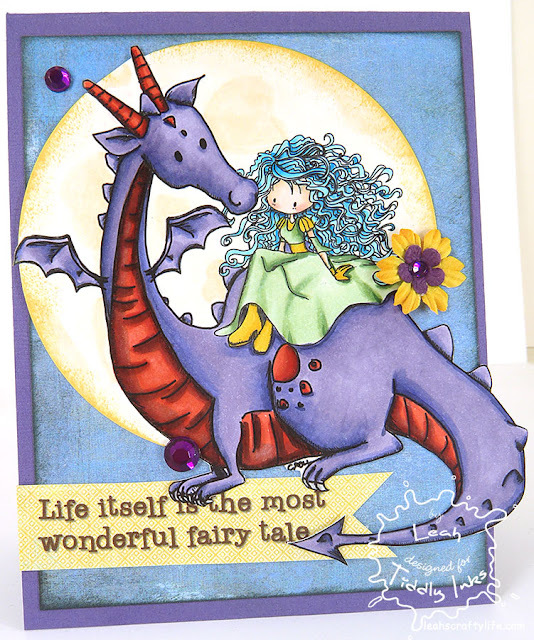 On to our Dragon friend with Magda, in this file you get three images!! Magda and sparkles are ready for the close up! I loved coloring this image SO much.. there are so many possibilities in coloring the mane and tail! 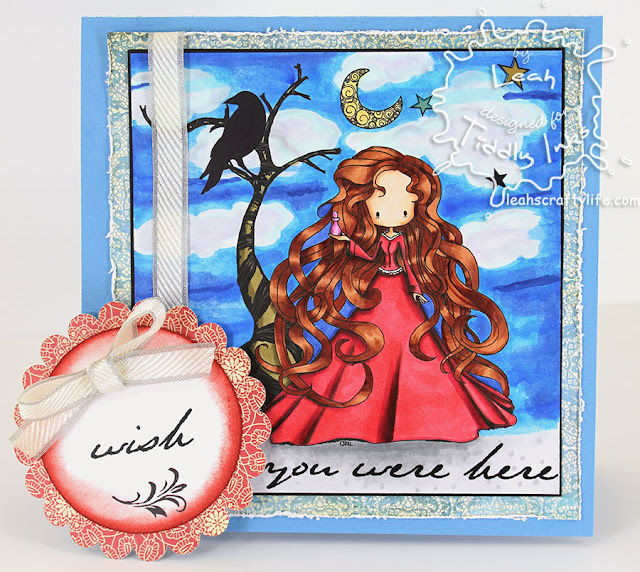 Go check out Christy's blog to see all the DT work and the other files I have not shown you here *wink* There is also a big 30 hour sale.. ENTER CODE: FANTASY to receive 15% off all digital images, excludes acrylic stamps"
oooooh they are all comepletely delicious hun!!!!! I love them all!! They are all simply out of this world. How fantastic and you have been busy creating! Wow wow wowwwwwwwwwwwwww! You never cease to amaze me!! I absolutely LOVEEEEEEEEEEEEEEEE this!!! I love love love love the colors!!! 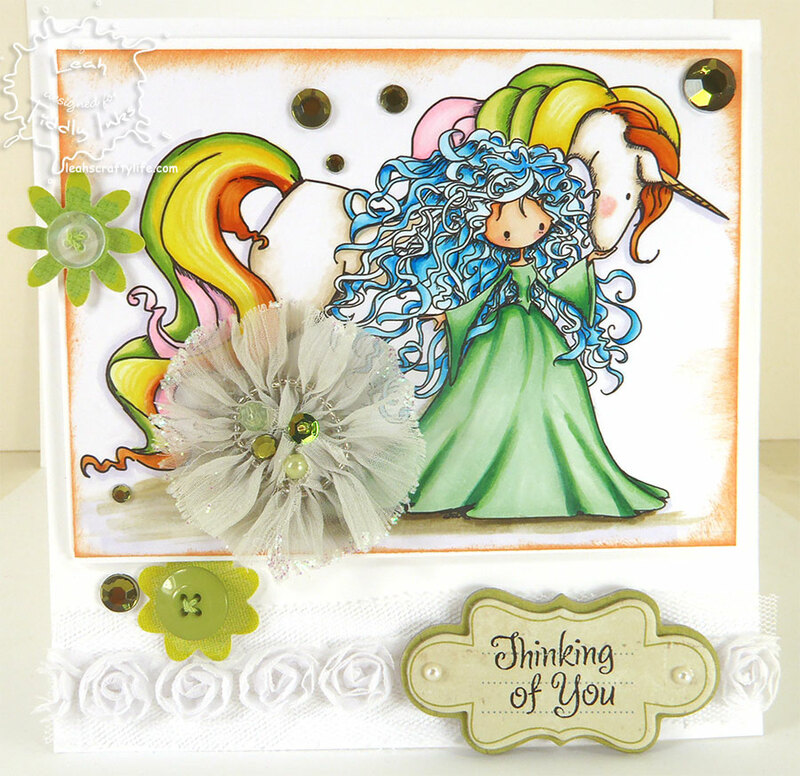 Love the crow in the background, the paper piecing, the rainbow unicorn! So many beautiful things!! Wooow! These are all gorgeous! You can have a lot of fun with all of these new images!! Fantastic work! Some Odd Girl - Nerdy Wormy! New digital release for July from SOG! They're here, new clear stamps! You know it.. Fab Friday! I can see Clearly - Paper Issues Hop!